YOU can now fly directly from Kisimu to other international destinations. This was made possible following the launch of a large capacity plane at the Kisumu International Airport yesterday. The plane, Embraer 190, with a capacity of 96 passengers, is an extension of the 72-passenger capacity E170, which has been plying the route. Kisumu Kenya Airways station officer Raphael Otwoma said the plane has the latest technology for burning fuel, thus environmental-friendly. Otwoma said air travellers to the lakeside town have increased by 28.8 per cent. “We shall now have a flight leaving in the morning, midday, evening and late in the evening at 18: 25pm,” he added. Captain Kiki Onyonka and Simon Musau said the new plane is fully- automated. “It does not use cables but electronic system to move all the surfaces,” said Captain Musau. ”It also has an In-flight Entertainment System for all the passengers aboard,” added Onyonka. Kisumu airport manager Joseph Okumu said transit shades and cargo houses are now available at the airport, making it possible to accommodate international flights. “The airport is now able to accommodate international departures and landings as well as international cargo lines,” he said. Okumu called on other air transport operators to take advantage of the ultra-modern technology at airport and ply the route. “Currently, we handle 24 flights per day but with time, we are looking forward to an increase in the frequency,” he said. Thousands of consumers who did not formally close previously held bank accounts have been included in the list of bad borrowers, adding a new twist to commercial banks’ use of credit reference in the lending market. The lenders said the consumers are being penalised for maintaining negative bank balances that add up to loan defaults, qualifying them as bad borrowers in the credit market. Also included in the list of bad borrowers are bank customers who have applied for credit cards but have not activated them — making it impossible for the banks to recover the initial cost. Kenya launched the credit referencing system last year to profile borrowers based on their loan servicing history as well as their dealings with utility companies such as water and electricity distributors. Some commercial banks acknowledged encountering similar problems when evaluating their clients for loans and advised them to clear with the banks that shared negative information before continuing with negotiations. “People have been put there unnecessarily. Some credit officers in the industry think CRB is a correctional measure for all that has gone wrong in the past but that is not the case; it is worse because it denies one access to credit,” said Jacob Ogola, head of credit administration at Commercial Bank of Africa. Banks have been increasing their reliance on credit reports with most demanding that all loan applications be accompanied by findings of the individual’s or business report. The latest Central Bank quarterly report indicates that commercial banks had requested 1,060,865 credit referencing reports by end of September. “The reports are now part of our credit appraisal process and negative listing is considered on a case by case basis,” said Suprio Sengupta, the general-manager at I&M Bank. “For personal financing, it becomes crucial but on secured loans it is negotiable,” he said. The credit referencing guidelines for the banking industry indicate that lenders are expected to put more emphasis on each borrower’s character than their ability to repay or even to raise collateral. The CRB report is deemed to reflect the borrower’s character. Credit reference bureaus admitted receiving consumer complaints over dormant account-related blacklisting but said commercial banks had submitted the information to the bureaus. “We are aware of cases where a customer left his or her account dormant and it went into negative balance not necessarily because of failure to service a loan but for overdrawn bank charges,” said Sam Mukoko of Metropol CRB. Wachira Ndege of CRBAfrica, one of the first credit reference bureaus to get Central Bank licensing, said such surprises should not occur as commercial banks are expected to inform a person of his/her listing in the bad borrowers’ book within 30 days of registering a person as a defaulter with the credit bureaus. Mr Ndege said the requirement is expected to elicit a response from the listed borrower and set in motion a process to correct any errors in the report. “A customer can also request their status report and if there is any error a resolution procedure is in place,” said Mr Ndege. An individual is entitled to one free report in a year and to a free copy of the report within 30 days of being notified of their listing. Mr Wachira said that the law only provided for listing of individuals on the basis of outstanding debt obligations on a facility and not as a result of bank charges. Mr Mukoko said that customer complaints had led some banks to write special letters to the bureaus asking them to review the status of the complainants. CRB stands as one of the most outstanding banking sector reforms in Kenya for its provision of credible information on customers that has helped improve the quality of loan books. Kenya’s stock of gross non-performing loans (NPLs) declined by one per cent in the three months to September to stand at Sh57.7 billion. Similarly, the ratio of gross NPLs to gross loans improved from 5.4 per cent in June 2011 to 4.8 per cent in September 2011 — a development that has been partly attributed to the use of the credit reference mechanism. “The reduction in non-performing loans is attributed to enhanced appraisal standards deployed by banks,” read the Central Bank’s report. “Someone who has been listed cannot get a loan until they clear with the CRB first,” said James Mwangi, CEO of Equity Bank. Blacklisted consumers are considered to be of higher risk and can be charged a higher premium than other borrowers. On the other hand, borrowers with a good repayment history are expected to use their rating to negotiate better interest on their loans as they are perceived to bear a lower risk of default. Evidence from the lending market, however, indicates that no lender has used the credit reference information to vary interest rates for their customers though the bad book is being widely used to deny consumers access to credit. Some lenders also responded to the bad ratings with requirements that the borrowers raise more collateral for their loans even when they have been cleared by institutions that had listed them. It remains each bank’s prerogative to determine the amount of risk exposure it is willing to take but most have chosen to simply reject loan applications from such customers. Before listing a person, a bank is required to give a 30 days’ notice for the individual to take corrective measures. But once listed, even if a person clears the debt for which they were listed, their names remain in the bad register for seven years. “Some banks are denying these people credit and that should not be the case,” said Mr Ogola. Mr Ogola said the law gave the allowance in recognition of the fact that conditions in a client’s life at the time of default may have changed, placing them in a better position to service a higher loan while offsetting the previous one. Staff turnover in the industry was also cited as necessitating further investigation into historical information in an account for a comprehensive reconciliation before listing. Industry insiders also blamed lack of public awareness and the failure by customers to challenge the banks for the casual manner in which the lenders are using the credit reference information. Mr Ogola advised borrowers to follow due procedure in closing their accounts instead of leaving them dormant even where they felt aggrieved. Initially, those who were locked out by the banks could turn to microfinance institutions but in his Budget speech in June, Finance minister Uhuru Kenyatta sought to have the MFIs included in the information-sharing platform. Other service providers including the Nairobi City Council have sought to be included in the credit referencing – especially aiming to list land rates defaulters. The Higher Education Loans Board is already using the services of the bureaus. The industry regulator hopes that the goodwill of non-defaulters would not only attract lower cost of credit but also eliminate the need for collateral, making it easier to deepen financial inclusion. NAIROBI — It’s an unlikely place for a film school, and to get to it, you’ll have to dodge wildly careening minibuses, packs of roving schoolchildren, and the occasional goat plodding its way across Nairobi’s largest and most notorious slum. But for the students of Hot Sun Films — a production company and film school in the heart of Kibera — the chaos is just a part of daily life. And for American helmer Nathan Collett, it was the perfect place to fulfill a promise he had made five years ago. Collett came to Kenya in 2006, while studying at the USC Film School, to lense his short pic “Kibera Kid.” During filming, he found that young Kibera residents who worked on the production were eager to pursue their own dreams of becoming filmmakers. But most Kibera youths faced impossible odds. Few had money to pay tuition at Kenya’s top film schools; many left school at an early age to find work. Collett promised to return to Kenya after he’d completed his studies to turn “Kibera Kid” into a feature film. And when he did, he found that he was surrounded by young men and women who shared his love of making films. They started informally. Collett would sit around a laptop with a small group, brainstorming for script ideas on what would become the 2010 feature “Togetherness Supreme.” They received basic training in camerawork and editing — a filmmaker’s boot camp — but there was no formal structure to what they learned. “We discovered they had some knowledge, but they didn’t have enough to actually join the industry,” says producer Mercy Murugi, co-owner of Hot Sun. So in 2009, Hot Sun Foundation, the nonprofit arm of Hot Sun Films, launched the inaugural semester of its Kibera film school. The school offered a rigorous, six-month filmmaking course to a small group of students, with instructors drawn from the professional ranks of Kenya’s film and TV industries. The goal, says Collett, was to give people the information they need at a reasonable cost. Part of that, he says, is an understanding of the entrepreneurial side of filmmaking. For residents of Kibera, that means working with limitations and developing self-sufficiency. That technology is on par with the best in Kenya today, with state-of-the-art equipment and editing software and East Africa’s first Red camera, which Murugi says they frequently rent out to local TV productions. When production wrapped on “Togetherness Supreme” last year, the crew offered free screenings in Kibera. Audience members approached Collett afterward and accused him of lying. “They just couldn’t believe that so many people from Kibera were involved in something like this,” he says. In its own way, he said it sounded like the highest praise. George Onyango was a loving father who gave hugs to his sons each day before he left for work. An English teacher in his native Kenya before bringing his family to the U.S. in 2006, Onyango urged his sons to study hard to prepare for success in the world. Onyango taught by example, attending Whittier Law School during the day and working nights as a group home counselor in Yucaipa. In his free time, Onyango loved to take his family to the Grand Canyon, Hoover Dam and other sights. Onyango also took his group-home charges on field trips, trusting them and believing they shared a mutual respect, his cousin said. That’s why he never suspected two of the youths were plotting the horrible crime that ended his life on a summer night two years ago, leaving his sons orphaned. The teen killers were tried as adults and were convicted recently on all charges. Carlos Dubose, 17 at the time of the crime, was convicted of murder, carjacking, robbery, kidnapping, evading arrest and using a steam iron and dowel to beat Onyango to death, as well as special circumstances including torture. Now 19, he faces life in prison without the possibility of parole at sentencing Nov. 4. Davion Whitmore 15 years, 8 months old at the time of the crime was convicted of murder, carjacking, robbery and kidnapping to commit robbery, said Deputy DA Beth Houser. Because he was under 16 at the time, Whitmore, now 18, faces 25 years to life. Houser hopes the convictions bring Onyango’s sons a sense of justice knowing their father’s assailants will never get out of prison to harm someone else. The boys’ relatives, Rose and Godfred Masinde, took them in to raise them with their daughters. It wasn’t an easy transition for the traumatized boys, who lost their mother to a brain tumor a few months after moving to this country and now had lost their father. Masinde said he had to reassure the boys they were full members of his family. I sat down with them on Thursday evening to ask how they are doing. Abraham Onyango, 16, and David Onyango, 13, said their studies suffered at first, although teachers and friends were sympathetic. David misses the walks his father used to take with him. Abraham misses the family road trips to Arizona. Today both boys are doing well in school. Abraham is a senior at Yucaipa High School. He plans to study pre-med or engineering at college next year. David would like to be a dentist or study law. Especially difficult for Abraham was having to testify at the trial. He had to identify his father from bloody crime-scene photos. “It was disturbing,” he said quietly, adding that he had nightmares afterward. Masinde wants the boys to write victim statements to be read at the sentencing. Both boys are reluctant, saying it is painful to relive the crime. Abraham said he never wants to see the killers’ faces again. I hope no one outside prison ever sees them again. A group of mourners in Teso North District were shocked when a 20-year-old man performed rituals on his mother’s body. Family members who were returning from a meeting, found the woman’s head shaved, her nails cut and herbs smeared all over her body. The man had reportedly threatened to beat up his sister who tried to stop him from conducting the ritual. Assistant chief Erineyo Majune condemned the man’s action. He said they are hunting him down after he fled from his home. Majune said it is suspected that the man wanted to use the hair and nails for witchcraft purposes. Mourners condemned the incident saying it was a curse and appealed to the provincial administration to take drastic action against the man. Church members condemned the practice calling on the provincial administration to arrest the man and charge him with disrespect. In the suit the pastor is seeking to have the custody of the children on grounds that the wife Leah Kasyoka is not financially capable to cater for their needs. The matter will be heard on the 11TH of next month. On 31st March this year pastor Thomas Wahome well known as pastor Helicopter filed a petition seeking court intervention. Helicopter ministries pastor wanted the court to grant him orders to have the custody, care and control of his two children on grounds that his wife Leah has neglect them. The pastor in his affidavit admits that he moved from the matrimonial home after their marriage being irreconcilable. Leah says that the pastor has abandoned them and has married another wife even without a divorce. She argues that the application to have a DNA test on their children is in bad faith arguing that she has been faithful to her husband. And at the chief magistrate court, Abednego Oyiengo Omukuba was charged with abusing a seven year old girl alleged to be his daughter. He is alleged to have committed the act on the 12th of January this year along Kirinyaga Road in Nairobi. He however pleaded not guilty and was released on a cash bail of 150,000 Shillings pending hearing on the 26th of January next year. Finally the high court will on the 7th of next month rule on a case challenging the legality of special prosecutor Patrick Kiage. Tinderet Mp Henry Kosgey moved to the court on grounds that Kiage appointment was not gazette as required by the law. Kiage is prosecuting the case in which Kosgey is charged with abuse of office. The case was put on hold to await the ruling pending at the high court. 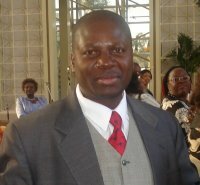 In othernews,suspended high court judge Juma Chitembwe is breathing a sigh of relief after the anti-corruption court cleared him of corruption charges. Chitembwe was cleared alongside former NSSF managing trustee Rachel Lumbasyo over the 1.2 billion shillings corruption allegation at the workers umbrella pension scheme. The two, suspended High Court judge Juma Chitembwe and former NSSF managing trustee Rachel Lumbasyo were acquitted of fraud charges totaling to Sh1.2 billion shillings. Anti-corruption magistrate Lucy Nyambura ruled that the two have no case to answer since the prosecution did not prove their case beyond reasonable doubt to warrant the court to put them on their defense. The prosecution closed its case after calling 36 witnesses who testified against the accused persons. Chitembwe and Lumbasyo had been accused of causing five parcels of land owned by the pension scheme to be transferred and registered to Delta Resources Ltd. The registration and transfer was allegedly done without payment of the balance of the purchase price of Sh1.2 billion to NSSF contrary to a directive by the fund’s board. George Kikami | NATION Mr and Mrs Loffler in traditional attire are joined by the community during their traditional Giriama wedding held at Mwangirani Giriama cultural centre in Kilifi Town on Sunday. A German couple got married in a colourful traditional Giriama wedding in Kilifi town. Mr Frank Loffler and Mrs Susana Loffler from Erfurt, Germany came to the country on October 15 just to get married at Mwangirani Giriama cultural centre. The love birds had inquired about the issuance of a marriage certificate in the traditional wedding when they learnt that they could only acquire one through a civil marriage. This made them travel to Mombasa for a civil marriage first. “We thought there was a certificate given after a Giriama girl is married off to his spouse but we were told it is done locally, we had to go to Mombasa to get a government certificate in a civil marriage before conducting this one,” they said. Mr Loffler who was named Charo Kazungu and his wife Kadzo Kitsao, termed the Giriama people as very polite and humble. Mrs Loffler said that they wanted to experience a different culture and make new friends far from home. She added that they really enjoyed their ceremony. “We read about the African culture on the Internet and Mr Said Kazungu, who works at a certain villa, introduced and directed us on how to reach here,” she said. On the eve of the Sunday wedding, the groom spent the night with the community at the cultural centre till dawn when he was joined by his bride, who was accompanied by area residents. There was a lot of entertainment in the wedding organised by Mr Kazungu where most of the traditional dance troops performed after the couple opened the floor with a traditional German dance. Mr Andrew Tuva, the director of the cultural centre, said he started the cultural centre because culture is a very important aspect that contributes to tourism. Mr Loffler is an electronics technician, while his wife works with an advertising company.